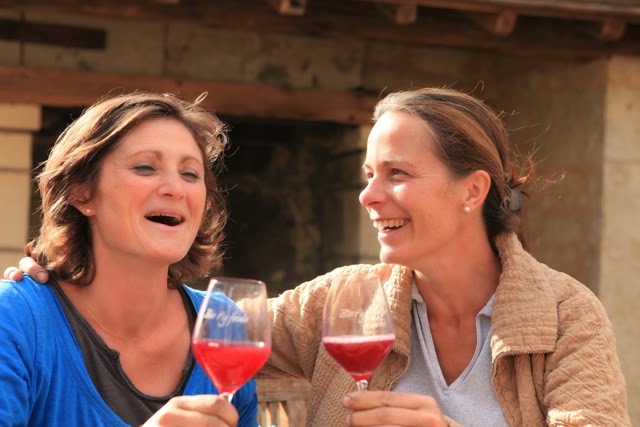 Jim's Loire: Annie and Sophie: a match made in Amboise! 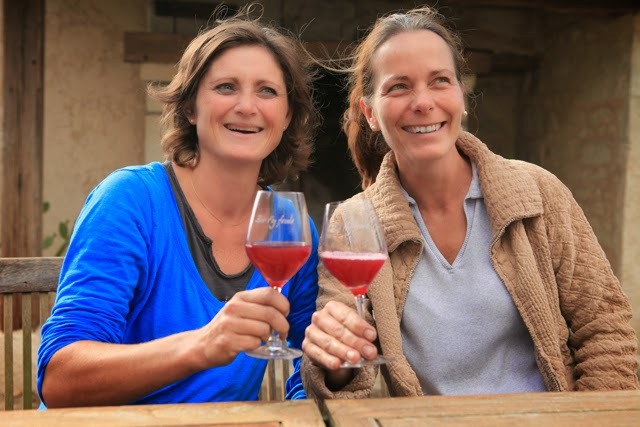 Late Thursday morning I met two Bourgueil débutantes vigneronnes – Sophie Raimbault and Annie Rouxelin of Domaine d'Elles in Restigné. 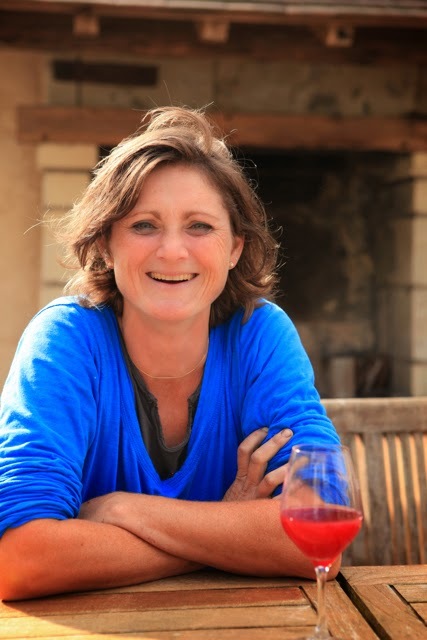 2014 is the first vintage of their joint venture – the 4.6 hectare Domaine d'Elles. They finished picking – all by hand – that morning. As well as Bourgueil they are making a Pet-Nat. Sophie and Anne are both in their early 30s and quite independently decided recently on a change of career. Annie had worked in industry – IT, logistics, export, while Sophie was in the furniture business. By chance they both signed up for a wine-making course at the Lycée Viticole at Amboise, which is where they met. At that time neither planned to become wine producers rather to use their skills to help producers sell and promote their wine. 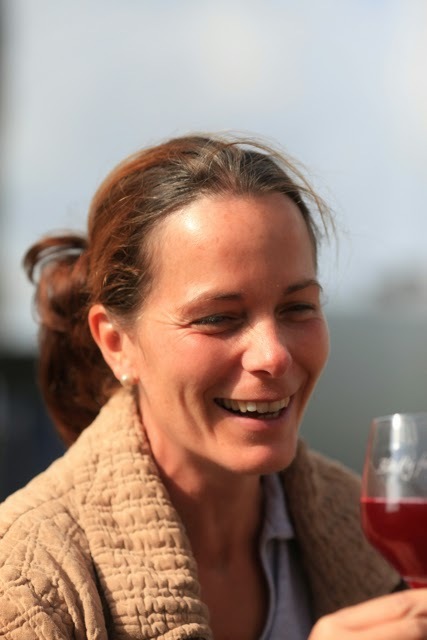 However, meeting each other soon changed their plans and they decided to become vigneronnes. 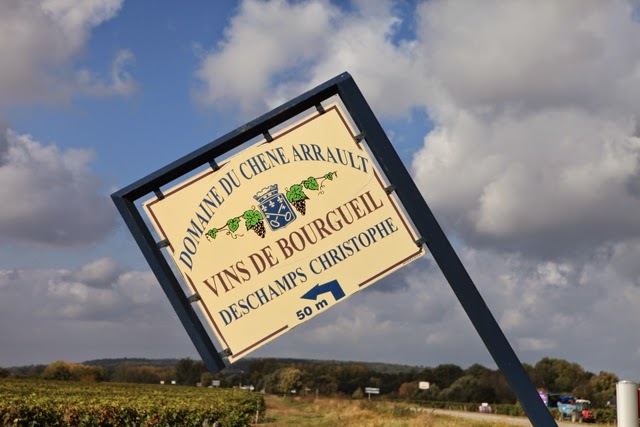 Their organically farmed 4.6 hectares are spread across the three different types of Bourgueil's terroir – sand, gravel and the clay-limestone coteaux. Two hectares, so nearly 50%, are on the coteaux. 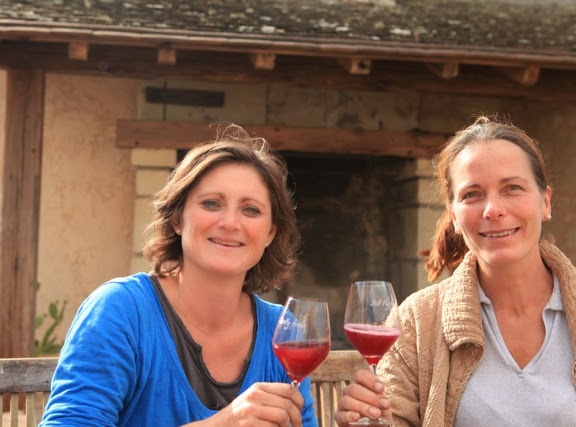 I met Annie and Sophie at Christophe and Sandrine Deschamps' Domaine du Chêne Arrault, where they have made their first vintage. "It is very difficult to find a chai. 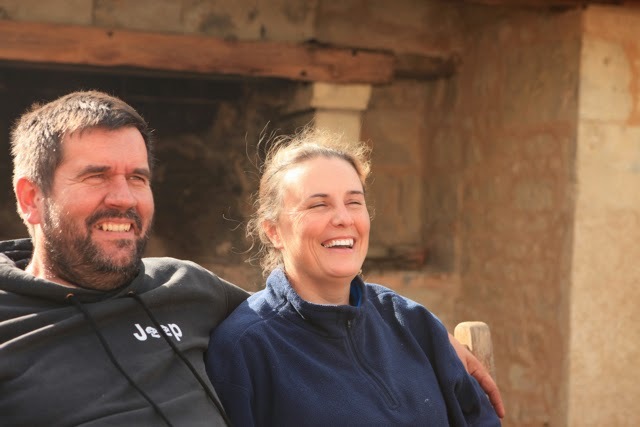 However, it's been great," said Annie, "that Christophe and Sandrine have lent us space in their chai. 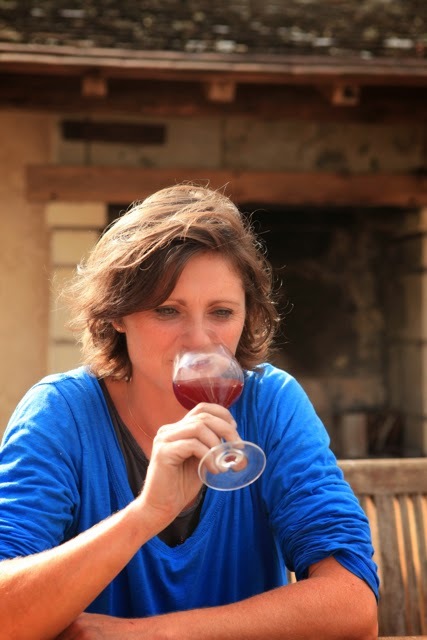 We have also had a lot of help from a number of Bourgueil producers. Bertrand Galbrun has helped enormously in the vines and we have also had assistance from Sébastien David, Laurent Herlin, Xavier Courant and Thomas Pichet. We are very grateful!" 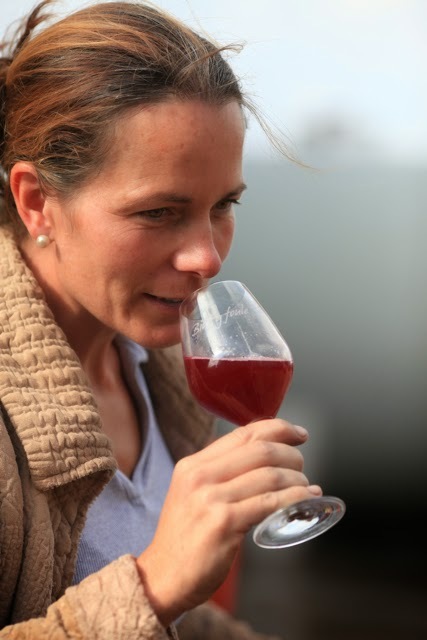 It's a brave decision to completely change direction, especially choosing to become wine producers. Annie and Sophie have had the good fortune to start in 2014 with a decent vintage rather than beginning their adventure together in 2012 or 2013.